Silex Technology is teaming up with Qualcomm Technologies, Inc. to exhibit at Embedded World, a leading international fair for embedded systems held in Nuremberg, Germany, where almost 1000 exhibitors and more than 32,000 attendees gather annually from all parts of the world. As the authorized design center for Qualcomm Technologies, Silex Technology engineers will join Qualcomm experts at their booth to demonstrate the latest Wi-Fi technology and reference designs. Among other technologies, Qualcomm will be showcasing their Tri-Mode module based on the Qualcomm® QCA4020 chip, which features Wi-Fi, Bluetooth, and Zigbee all packaged in the same chip. 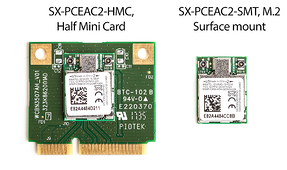 Silex will demonstrate premium Wi-Fi and Bluetooth modules for applications that require high concurrency by utilizing built-in sensors on the Qualcomm QCA4020 to drive interactive light shows. With these new releases, customers can now bridge multiple radio technologies to each other, within a single SoC, making development simpler, quicker and lower cost. The compact form factor of the module enables the development of microGateways, providing full deployment of a Wi-Fi, BT and ZigBee network solution inside an enclosure smaller that an electrical plug. As Wi-Fi is becoming ubiquitous, finding its way into all sorts of devices including those in consumer, industrial, and automotive applications, billions of Wi-Fi enabled devices are now relying on robust wireless connectivity. With our long-standing relationship with Qualcomm Technologies, Inc. and status as an authorized design center, Silex has unprecedented access to their industry leading technology. 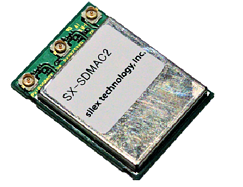 This allows Silex to build on this technology in order to provide solutions for the mass market with features like seamless roaming 802.11r, automatic antenna selection, add regulatory compliance updates (R&TTE) etc required for Internet of Things connectivity. Look for exciting new product announcements at the show. Please stop by at the Qualcomm Booth in hall 4A, stand 4A-330 to learn more. Please contact sales@silexamerica.com if you wish to schedule a meeting at the event. 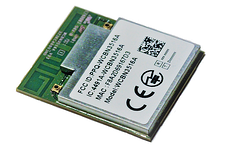 Qualcomm QCA402x, Qualcomm QCA4010, Qualcomm QCA9377, Qualcomm QCA9379 and Qualcomm QCA6174A are products of Qualcomm Technologies, Inc. and or its subsidiaries.